The long awaited Supreme Court ruling into whether an injunction should be granted, preventing Victor Bockarie Foh from continuing to serve as vice president of Sierra Leone was delivered today. After exactly four weeks of deliberations, the five Judges unanimously decided that it would be unsafe for the highest court in the land to demand the removal of the vice president from office. This rather surprising conclusion which was also echoed by the other four judges, will no doubt provoke serious debates among constitutional lawyers, in and out of Sierra Leone. At the heart of the judges’ conclusion is the question as to whether the Constitution of Sierra Leone does make provision for the Speaker of parliament to act as vice president until such time the vacancy is filled, so as to prevent what the judges refer to as “grave consequences for the whole nation”, should the office be left vacant. Today’s verdict is bound to leave campaigners for the reinstatement of the sacked vice president Sumana, accusing the Supreme Court judges of political bias. Lawyer J.B Jenkins Johnston who is the lead counsel for the Plaintiff – former vice president Chief Alhaji Samuel Sumana, was seeking an interlocutory injunction to restraint Mr. Victor Bockarie Foh from acting as and, or carrying out the functions of the vice president of Sierra Leone, pending the determination of the matter before the Supreme Court, in respect of the action of the president to “relieve” him from the office of vice presidency. 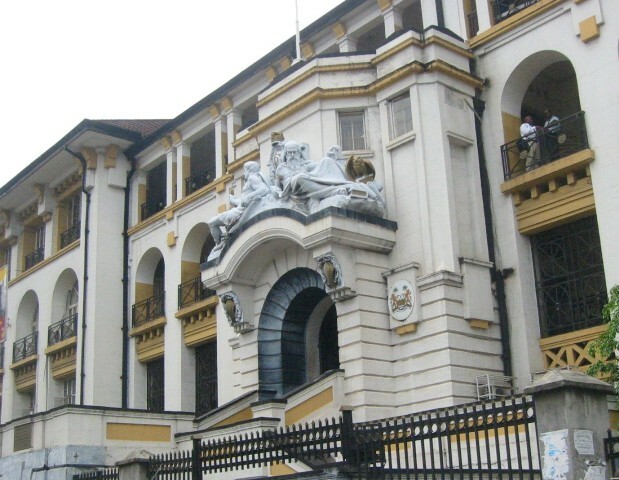 But lawyers Ajibola Manley-Spaine acting as the lead counsel for the 2nd Respondent Victor Foh, and Berthan Macauley (Jr) – serving as the lead counsel for the Attorney General – the 1st Respondent, have argued that Sumana’s lawyers have not satisfied the court of any justifiable and reasonable grounds for an injunction to be granted. At the heart of this Supreme Court case, is the question as to whether president Koroma acted unconstitutionally, when he unilaterally set aside the relevant sections of the country’s Constitution in deciding to relieve the elected vice president of his duties. When this matter was brought before the Supreme Court on the 6th April 2015, few in Sierra Leone trusted that the judges will grant an injunction, given the current politically charged atmosphere in Sierra Leone. In arriving at their ruling, it would seem that the five most senior judges in the country, have relied less on the legality, constitutionality and equity of the arguments posed by Sumana’s lawyers, but more on the political context and consequences. This is bound to reinforce the very negative perception and distrust that people generally have in Sierra Leone about the independence of the judiciary. Each of those five judges were personally endorsed and appointed by president Koroma after they were nominated by the outgoing substantive Chief Justice Umu Tejan Jalloh, as Supreme Court Judges. 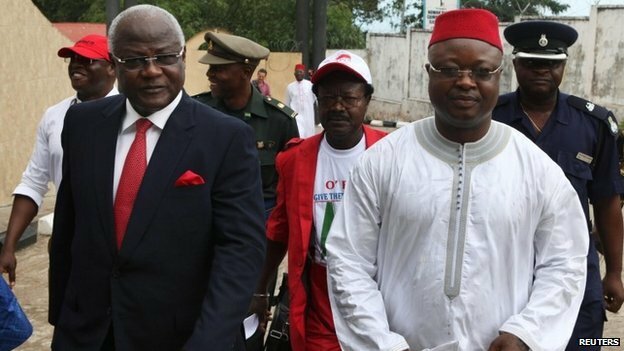 Hence cynics will question whether Sam Sumana will ever obtain justice, when the wider, substantive issue of president Koroma’s decision to sack Sumana from office is looked at by the same Supreme Court Judges, starting Tuesday, 12th May 2015. (iii) For an injunction restraining the said Victor Bockarie For from acting in the Office of the Vice-President of Sierra Leone, pending the hearing and determination of this action. Political observers say that whilst today’s landmark decision by the Supreme Court with regard to request to grant injunction may have thrown Sam Sumana’s political ambition within the ruling APC party into oblivion, it will certainly be regarded as another nail on the coffin of constitutional justice and the rule of law in Sierra Leone. By not relieving Victor Foe of his duties as Vice President, is like believing that all actions leading to his “selection and swearing-in” as VP is constitutional. I see no hope for a just and fair conclusion of this case. The justice system appears to be so compromised, with the acting chief justice seemingly in collusion with the executive. A man of God once said that; “The best leader is a religious leader.” These people call themselves just judges and here they cannot give justice. My advice is that, the word of God said every man is an appointed guardian and will be judged on the area he /she was asked to provide guidance. You fear the eyes of men and you feel secure from the punishments of GOD. Think !think! think! Mr judge think. Yesterday you were no body, today you are somebody, and tomorrow you will be judged all alone by the ALL MIGHTY GOD. The people you are favouring will not be there to save you or answer on your behalf. GOD sees us and hear us. We really need clarity on the issue of the Supreme Court’s denial of the request for injunction. I am therefore appealing to Justice Abdulai Conteh to please help us out with this issue. Does he think that the Supreme Court judges were right? What on earth is going on? Where is justice? Why can’t these judges face reality and show respect for our constitution? Our nation is for every Sierra Leonean, not for a bunch of crooks or rogues. So what are they talking about consequences? What about the masses (I mean other Sierra Leoneans who voted for the president and his vice president)? Where are their rights? Why are you guys treating people like dummies? If one can’t get justice in his or her own country, where can one find it? It is rather strange that the Supreme Court formed the view that it would be unsafe for the highest court in the land to demand the removal of the vice president from office, and that they foresaw grave consequence for the nation if the position remain unfilled. It would appear that the Supreme Court has decided to answer a question that was not put before them for their determination. The matter before the court is to first consider whether the 1991 Constitution empowers the President to dismiss the Vice President, who is himself elected under the same electoral ticket. The court is further asked to grant relief to the dismissed Vice President, by setting aside the appointment of the new Vice President. The Supreme Court is not asked to look into a crystal ball – it is asked to interpret the constitution. It is staggering that they have formed a view of the secondary aspects of the petition, without first considering the main aspect of the petition that they are hearing. This decision does not bode well for Sierra Leone. It is very clear from this decision, that the Supreme Court will eventually (when it has summed up the courage to face the Sierra Leonean people), throw out the petition and rule that the President is empowered by the Constitution to dismiss the Vice President. The Supreme Court has also been very slow in considering the case. These judges who are never usually called upon to make a determination on constitutional issues, but spend more time fulfilling their ceremonial roles, have not taken up the opportunity that this petition presents, to assure the people of Sierra Leone that they too can uphold the constitution and rule of law. The judiciary in Sierra Leone is clearly not independent, and that does not come as a surprise. Sierra Leone is characterised by politicians and public servants across all sectors, who quite simply are completely devoid of basic principles and are using their offices to make decisions about their own survival. 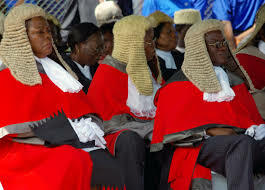 Our judges masquerading themselves as “honourable” men and women, are quite frankly devoid of any honour. As a Krio man, what I find particularly troubling in the Supreme Court decision that is emerging, is the critical role that prominent Krios play, and have played in Sierra Leone’s demise. I want to remain hopeful, but it seems like this government will not be satisfied until it is chased from power. People have a limit and once that limit is reached, they lash out at their oppressors. EBK’s praise singers can keep lying to him, but if he were wise he’d learn from the disgrace other African leaders have suffered before him. I know it will require boldness from these justices, but let’s pray they are not bought and paid for. We are all anxiously awaiting their decision.